By CNN'S RYAN BROWNE, ERIC LEVENSON, JOSE PAGLIERY, MAJLIE DE PUY KAMP, FAITH KARIMI, EMANUELLA GRINBERG, GISELA CRESPO AND HOLLIE SILVERMAN CONTRIBUTED TO THIS REPORT. People watch the procession carrying the body of Ventura County Sheriff Sgt. Ron Helus, who was killed in a mass shooting at the Borderline Bar and Grill, leave Los Robles Hospital on Nov. 8, 2018 in Thousand Oaks, California. 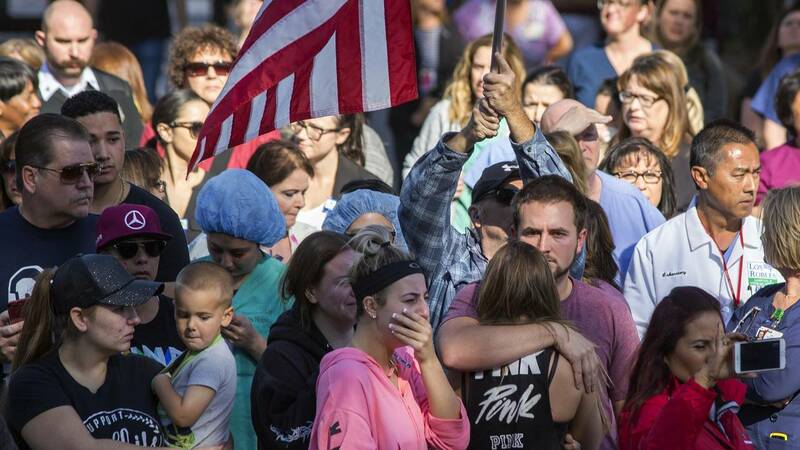 (CNN) - After a Marine Corps veteran stormed into a country music dance hall in California and killed 12 people, investigators said there is no clear motive behind the attack. Authorities say Ian Long, 28, fired a Glock .45-caliber handgun without a word as patrons line-danced at the Borderline Bar & Grill in Thousand Oaks late Wednesday night. He first shot a security guard and a woman working at the counter, but authorities say there was no indication he was targeting employees. 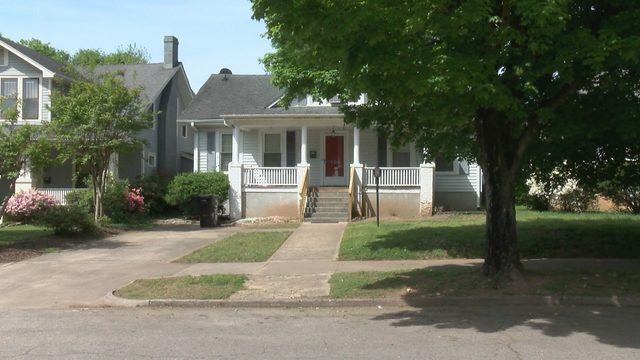 Hours after Long was found dead, apparently from a self-inflicted gunshot wound, police searched for clues at the home where he lived with his mother. As investigators dig for answers, loved ones and strangers mourn the victims -- including some now known as heroes. Ventura County Sheriff's Sgt. Ron Helus, 54, was among the first officers to arrive at Borderline. He was shot several times as he tried to stop the gunman. Helus, who loved fishing with his son, was hoping to retire in the next year or two after 29 years on the force. Cody Gifford-Coffman, 22, lost his life shielding others, his friend Sarah DeSon said. When the gunfire broke out, Coffman, DeSon and another friend dropped to the ground. After an apparent smoke bomb went off, Coffman stood up and told his two friends to flee. "When he said leave and when he got up, I left," DeSon said. "I saw one opening, and I ran for it. And unfortunately, he wasn't behind me. ... He made sure people were safe, and now we all have a beautiful guardian angel watching over us." Several victims had connections to the military. Coffman was in the process of talking with Army recruiters. Telemachus Orfanos, 27, was a Navy veteran who survived the Las Vegas massacre last year. After he was killed in this week's California massacre, his mother demanded actions, not words. Justin Meek, 23, recently graduated from California Lutheran University and was planning to join the US Coast Guard. He was looking forward to cooking for everyone at the school's Veterans Day Celebration on Monday, Cal Lutheran's veterans coordinator Jenn Zimmerman said. "He loved running college night and always seemed to draw a crowd," Zimmerman said. Pepperdine student Alaina Housley, 18, was "an incredible young woman with so much life ahead of her," her aunt and uncle said. Noel Sparks, 21, was a gifted dancer and artist, a friend says. Sean Adler, 48, was a bouncer at the dance hall and a former wrestling coach, his team confirmed. Four other young victims -- Blake Dingman, 21; Jacob Dunham, 21; Mark Meza, 20; and Kristina Morisette, 20 -- were also killed, the Ventura County Medical Examiner said.